The kitchen is not only a place to prepare family meals. It’s also a space that sees children doing homework while Mom is preparing lunch, or where impromptu guests gather over a glass of wine for a good heart to heart. It’s become a hard-working space with lots of functions to fulfil the entire family’s needs, especially where a large, extended family is involved. 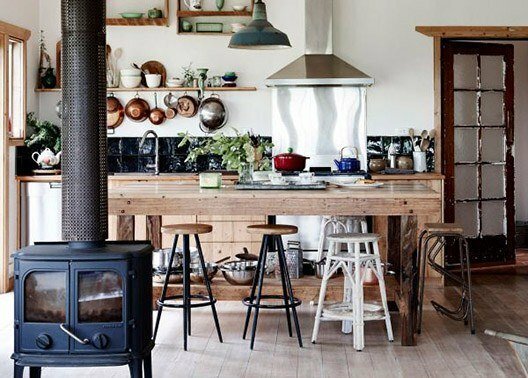 We’ll show you six clever ideas on how to design a kitchen for a large family. Have a family meeting and discuss all the things that every family member would like to do and see in the new kitchen, within reason of coure! Consider the ages of the kids or the grandparents and number of people that will be in the kitchen at any time and make this your starting point when looking at layouts. how many people are involved in meal preparation? will the family enjoy meals together in the room? will homework be done here? is this a craft space / sewing space / general admin area as well? are the pets being fed in the kitchen and do they sleep there? aside from regular kitchen paraphernalia, which household items and appliances need to be stored in the kitchen? The answers to these important questions will paint the picture of the perfect kitchen for you and your family. Choose easy to clean and hard-working surfaces that can withstand the knocks and bumps of everyday life with a family. Ask your kitchen designer about the different options and don’t compromise on quality. 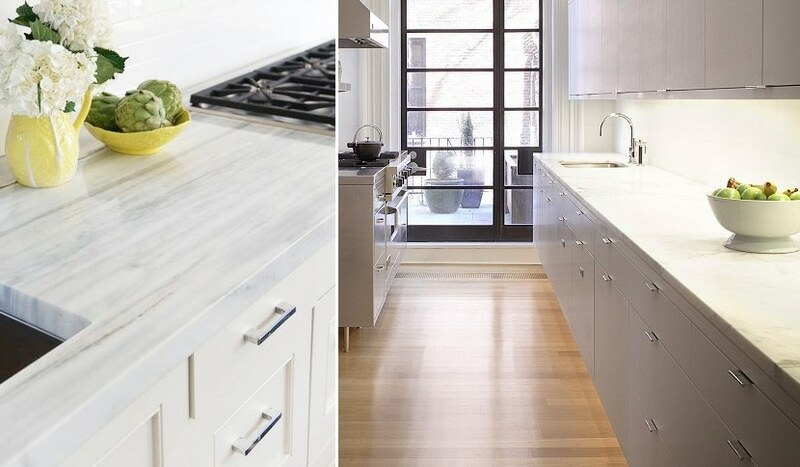 Ensure that your counter tops are heat and scratch-resistant to prolong the life of your family kitchen and keep in mind that a great work surface is an investment that will pay off in the end. Luckily, there are so many options available, from natural stone and wood to incredibly hard-wearing artificial surfaces and metals, that you are sure to find something that will fit both your lifestyle and your pocket. It’s always a good idea to take stock of the items hiding in your current kitchen cupboards that never get used. Donate them to charity or sell them – they only gather dust and space is a valuable commodity in any kitchen. 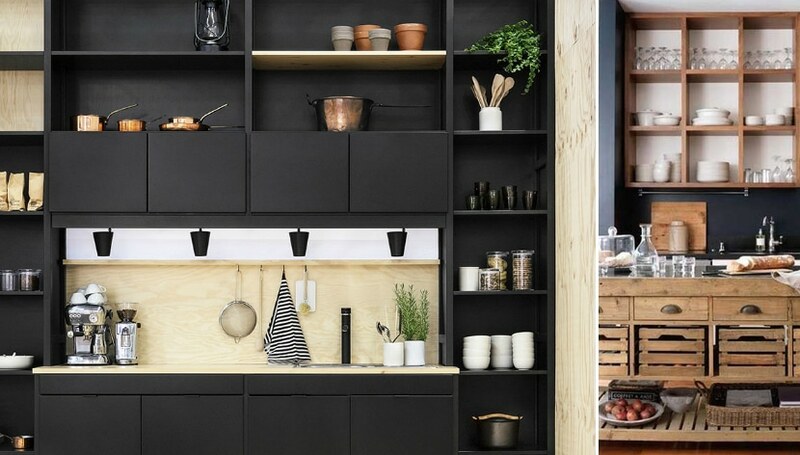 Design your cupboards so that it sees to your storage needs. There are many clever solutions and gadgets to maximize the space that you do have and clean up work surfaces. Ask your kitchen designer about their range or solutions. Another great way to add both work surface and storage, is installing a kitchen island. 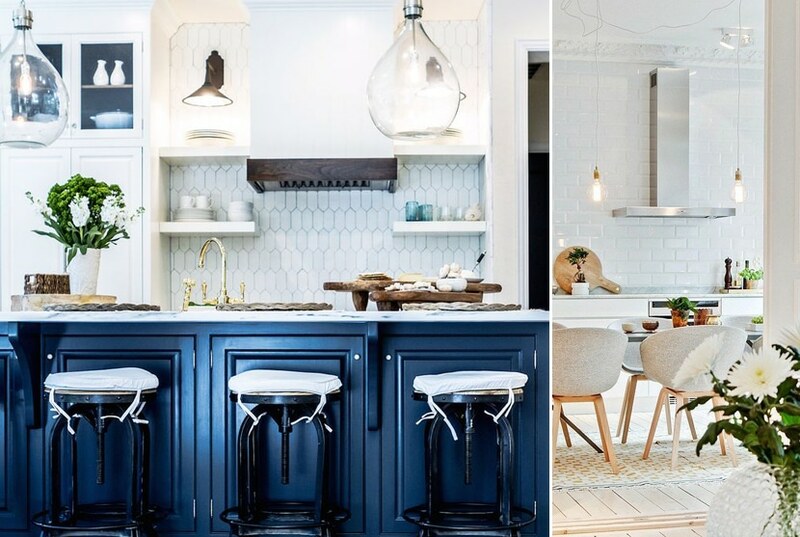 Also maximize your vertical space by having pots hanging from designer hooks on the wall or above the island so that it doesn’t take up valuable cupboard space and I within easy reach. And don’t forget about the space on top of your cabinets – this is great area for display of lesser-used items and beautiful crockery. Leave plenty of traffic space for little (and big) feet to move around the room: the flow should be practical and without restriction. This is not only a practical guide, it is also necessary for safety – especially where a large family is involved. Kitchen flow can also be achieved in a small kitchen with the help of a designer as they will give you the best available options to maximize floor and surface space. Tall, wall mounted cabinets for instance, add more storage and deeper kitchen units help to maximize surface and storage space underneath. Integrate your kitchen with the rest of your home by creating an all-purpose room, rather than a traditional, separate kitchen. You can achieve this by knocking down the wall that connects the kitchen to the adjacent living area, whether it’s a playroom, TV room or dining room. This will ensure that the various activities can blend seamlessly into each other and you get a bird’s eye view from the kitchen while preparing dinner. 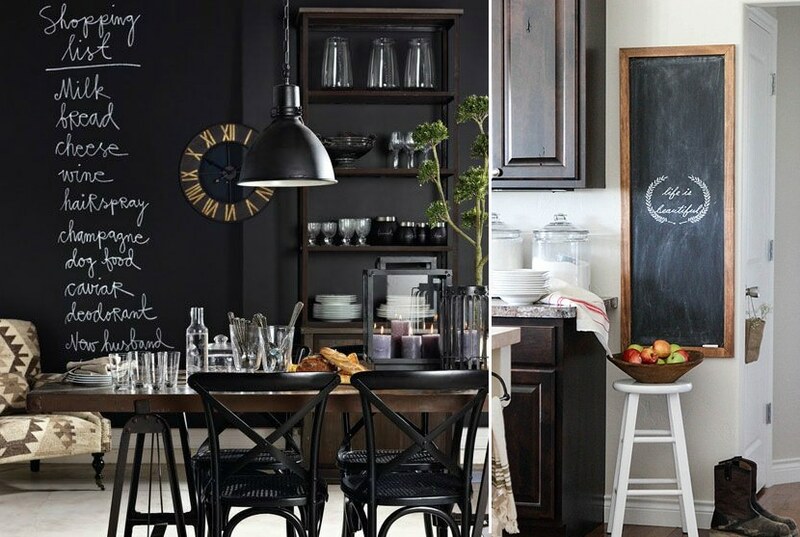 Incorporate a chalk board in your kitchen design for the whole family to enjoy. It’s handy for a grocery or to-do list, but also a lovely space for words of wisdom and even a game of noughts and crosses before dinner. A magnetic board is another great idea to keep bills, notes, schedules and other important information within reach. Chalk boards come in a large variety of shapes and colours so you are sure to find one that fits your kitchen style perfectly. Alternatively, dedicate an entire wall to the artists in your home and paint it with a fun chalk board paint. To get more information on designing a kitchen with little kids in mind, read our article on the subject here.